A Chinese government backed thinktank has accused India of interfering in the internal affairs of Sri Lanka when Prime Minister Narendra Modi recently visited the Tamil dominated Jafna area. It has also said India was trying to counter Beijing’s influence by encouraging Sri Lanka, Myanmar and Bangladesh to avoid the China’s Silk Road program. “Modi included in his Sri Lanka trip the city of Jaffna in the Tamil-majority Northern Province, which in fact shows India’s interference in the country’s internal affairs,” an article by Liu Zongyi, a researcher at the state-backed Shanghai Institutes for International Studies, said. Incidentally, Sri Lankan leaders, who accompanied Modi on his Jafna visit, has no such suspicion about Indian interference. 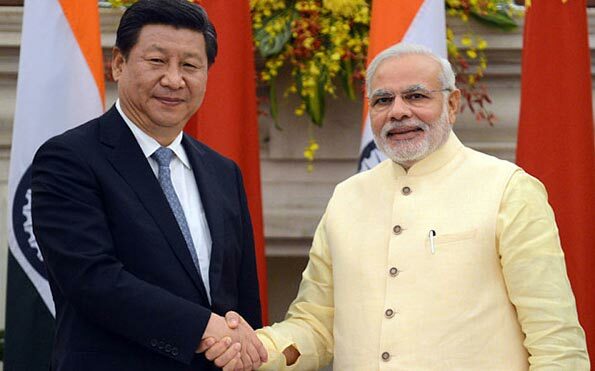 Modi’s recent visit to three Indian Ocean countries was aimed at making India a dominant power in the region, the article published in Global Times, a Communist Party organ, said. “Now that Modi has reached out to the Indian Ocean island states, it seems India is determined to gain a dominant position in the region by enhancing military and security cooperation with them,” the researcher said. But he predicted that India and Sri Lanka would not be able to develop rapport because of differences over affairs relating to Tamils and fishing rights. Sore about Sri Lanka’s decision to stall a Chinese contract for port city development in Colombo, the writer cites media reports that suggest that “New Delhi has gained the upper hand when Colombo halted the China-invested project”. “Many overseas media outlets reckoned that Modi travelled to these island countries mainly to counterbalance China’s growing presence in the Indian Ocean,” the article said. India is suspicious about China’s Silk Road program because it thinks Beijing has some ulterior motives, the researcher said.